There’s nothing like a foot rub from your man after a long day on your feet. 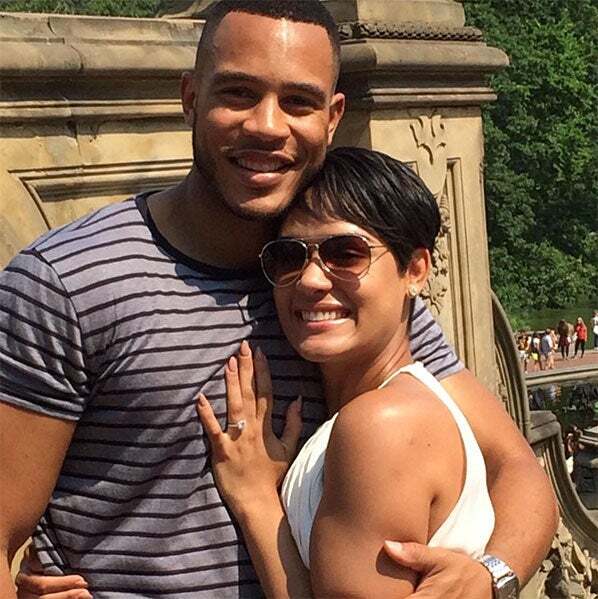 For Empire stars and newlyweds Grace Gealey and Trai Byers, this is just another Tuesday night. The new Mrs. Byers had a little fun on Instagram when she shared a #marriagegoals moment with her followers of the couple’s normal Tuesday night. The actress caught some footage of her husband and co-star rubbing her feet and serenading her with Teddy Pendergrass’ “Come Go With Me”. The caption posted with the sweet-but-sneaky clip read: “He’s gon kill me when he sees I got this on tape!” Could these two be any cuter? The couple secretly married on April 14 in Grand Cayman in an intimate Caribbean affair.